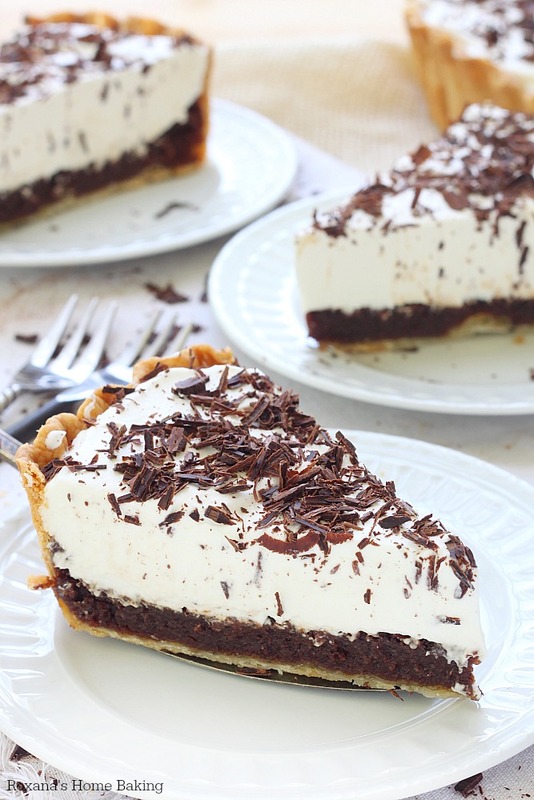 Flaky pie crust, incredible rich chocolate layer and light whipped cream make this Mississippi mud pie quite impossible for anyone to resist it. Mud pies always make me think of childhood. Layers upon layers of mud and dirt. Sometimes sand or mulch. Little sticks, flowers and leaves were part of the decorations. The more the prettier. Except jumping in the puddles, making mud pies was our favorite activity after the rain. The last time I made a mud pie was probably more than 20 years ago. Time sure fly, doesn’t it? The first time I heard about Mississippi mud pie was few years ago when I came to US. I have to admit, I was quite skeptical when I heard the name. My mind travelled quickly back in time. Now, that I actually made a Mississippi mud pie I’m pretty sure I’ll never go back to the mud pies from my childhood. Mississippi mud pie as I’m sure most of you know, consists of a rich layer of chocolate and topped with a generous amount of whipped cream. I’ve actually seen quite a few variation of the dessert. Some recipes have a chocolate, mostly crushed Oreos, crust. Others have a layer of chocolate pudding added to it. Some are just for grown ups since they call for bourbon. 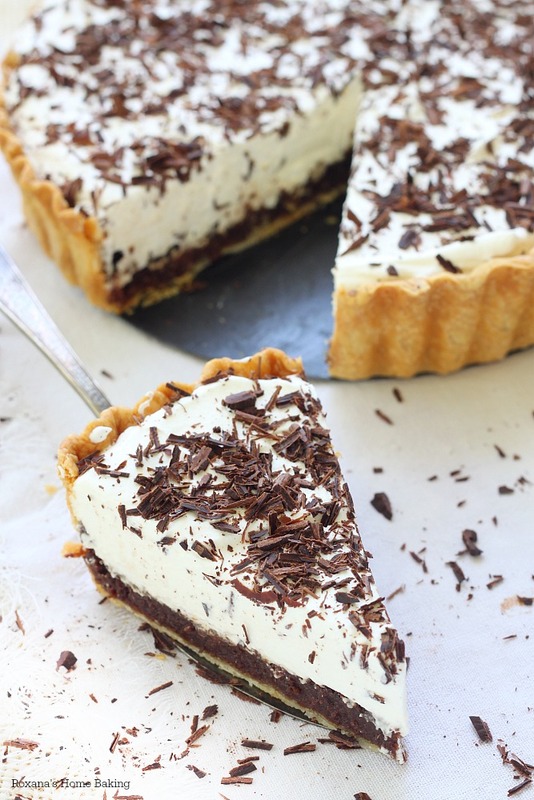 Either way, Mississippi mud pie is pretty much a chocolate and cream pie. 2 layers, 3 layers. Chocolate crust or nor, pair rich chocolate with whipped cream and you have an irresistible dessert. 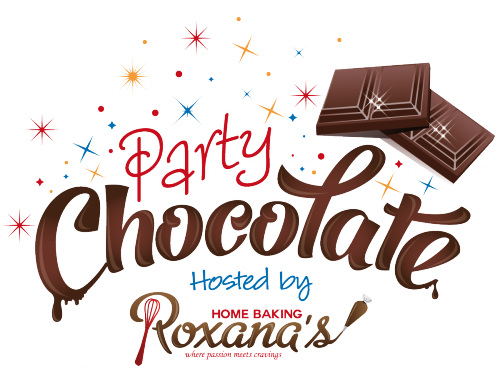 Speaking of chocolate and cream, in case you didn’t guess it already – it’s time for another chocolate party! Heavy cream is this month secret ingredient! Gently, with your fingers, press the pie crust on the bottom and sides of a 9" pie pan with removable bottom. Set aside. In a heatproof bowl set over a pan of simmering water (make sure the bowl does not touch the water), add the chocolate, butter and corn syrup. With a spatula stir the chocolate mixture until melted and smooth. Remove the bowl from the heat and stir in the sugar, vanilla and the eggs. Bake in preheated oven for 40 minutes or until the filling is set. Remove from the oven and let cool completely on a wire rack. When you take the pie out of the oven the chocolate filling will be all puffed up. As it cools down, is it deflate a little. Don't panic. It's absolutely normal. Just before serving, whip the heavy cream until form peaks form. With a spatula or a palette knife spread evenly the cream on top of the cooled chocolate layer and decorate with chocolate shavings. With a sharp knife cut the pie into slices. For a somehow clean cut, clean the knife's blade after each cut. I'm not from the US and have never eaten a mud pie, but it looks so delicious that I think I've definitely missed something! The total time for this pie says 2 minutes. That means 2 minutes to devour the whole pie, right? It looks too good to take any longer than that. Have a great day! Oh! Roxy this is making me drool all over my computer. Looks incredibly delicious!!! And pictures...omg! So amazing!! This chocolate pie is seriously epic!! I could take three slices right now Roxana! This looks sooo good! I could sure go for a piece of this pie right now...my sweet tooth is kicking in! 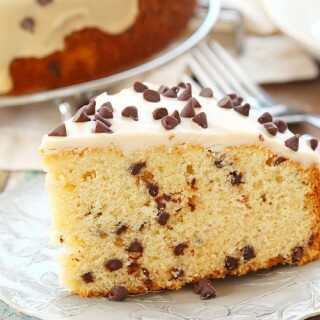 Love this recipe and pinned it! I would love to join your chocolate party. If I post a chocolate recipe this month I'll definitely join in the fun. You can NEVER go wrong with chocolate! Hi Debbie, you'll be glad to have you join our chocolate party this month. And yes, you can't go wrong with chocolate! UGH, once again I miss the posting date! I just could not get my act together and bake something for this month's theme. I'm going to start planning NOW for next month. BTW your pie is mouth watering. I'm drooling over here! Delectable and gorgeous as always Roxana! 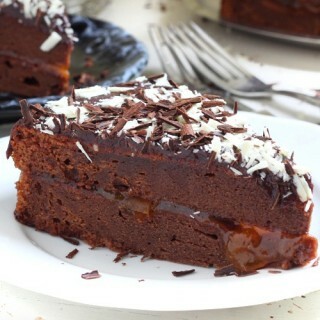 The photos are beyond amazing and I want some Mississippi mud pie now! Mississippi mud pie is a favorite around here! Your variation looks wonderful! This is a favorite of mine... oh my it looks good. I found your recipe over at the Create, Link, Inspire Tuesday link party at Naptime Creations. I host Tickle My Tastebuds Tuesday and would love it if you would come over and share this recipe. I’m sure our party goers would love it! Here is the link http://bit.ly/1jlh94r. Have a wonderful day! Gorgeous pie, Roxana. Love the layers! 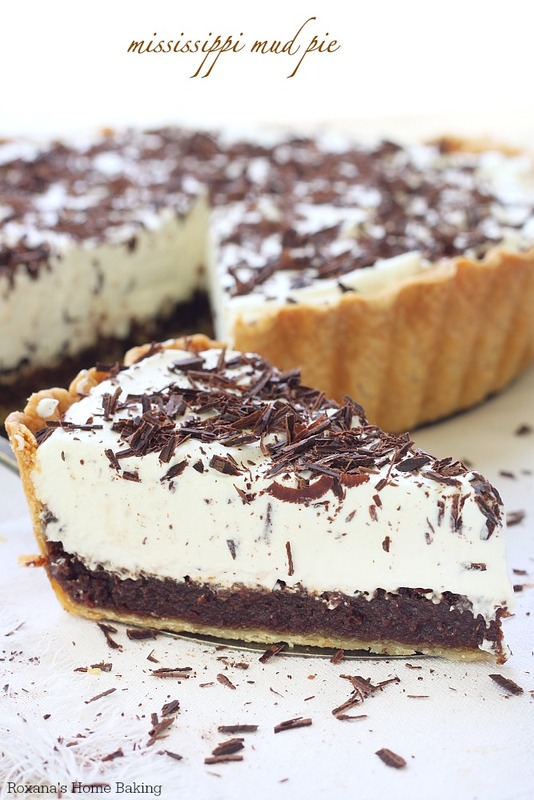 Mississippi Mud pie is one of my all time favorite desserts. Fabulous treat. Hi Roxana, your Mississippi mud pie looks ridiculously good! Ooh, I wish I can sink my teeth into one right now. Having my afternoon cup of tea while reading your blog and drroling over the delicious desserts! I'm not a big fan of chocolate. But this pie looks so scrumptious! Really beautiful! Maybe I'll have to come up with a dairy free version, because I'd love a big slice of that! This looks so rich, creamy, and delicious! This is a dream come true for a chocolate lover...thanks for sharing! 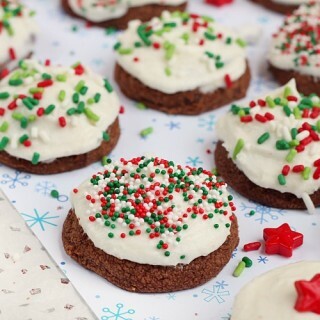 Hi Roxana your recipe is one of our favorites this week... Yummy! Thank you so much for linking up with The Party Bunch!